One size does not fit all when it comes to the ketogenic diet. This black-and-white edition of Keto: A Woman’s Guide offers a balanced approach to using the keto diet to optimize hormonal balance and body composition, customizable to your specific dieting goals. Women need to do keto better and smarter to get the health and fat-burning benefits they are seeking. Men and women have different energy requirements, different levels of hormones, and metabolize nutrients differently. With the soaring popularity of low-carb diets in recent years has come a lot of confusing and misleading information—and very few resources that consider the unique physiology of women on a ketogenic diet. Keto: A Woman’s Guideaddresses the misconceptions and discrepancies to give you a clear path to keto success. Ketogasm website and blog creator, Tasha Metcalf, outlines the fundamental differences between male and female keto dieters, how to correctly determine your calorie and nutrient needs, and how to adapt the appropriate approach for your particular keto dieting strategy, whether for fat-burning and weight loss, reversing insulin resistance and PCOS, athletic performance, thyroid health, and/or balancing your hormonal cycle. She also explains the ketogenic diet phases, their particular lengths and objectives, and actionable steps for getting the most out of each phase of the diet. With Keto: A Woman’s Guide as your trusted source, meet your individual keto goals with a diet plan custom fit for your body. 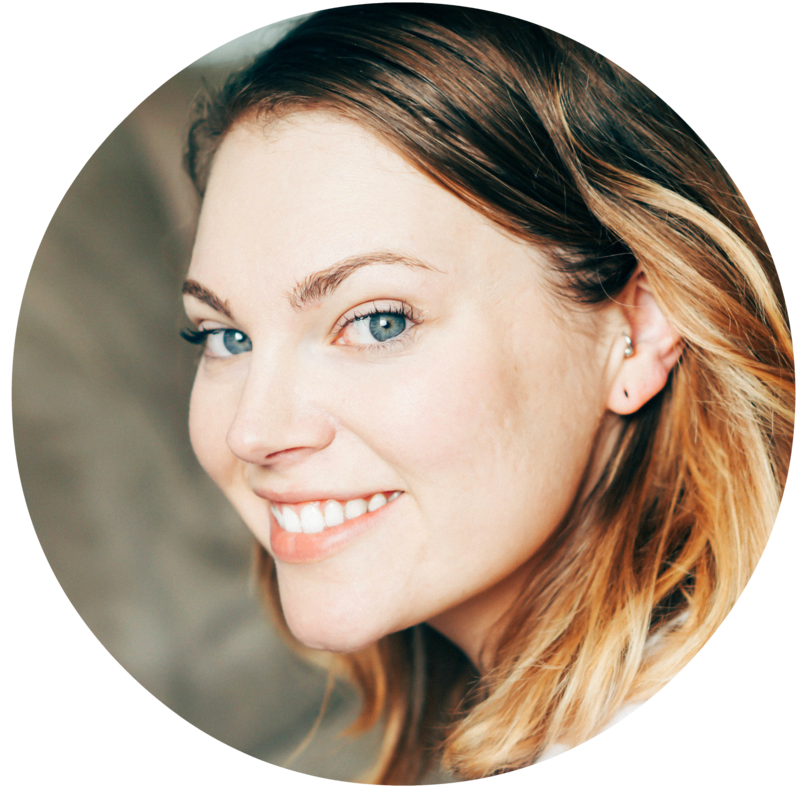 Tasha Metcalf is the creator of the wildly popular website Ketogasm, a resource for women learning how to implement a ketogenic diet. Her Hello Keto course has had over 58,000 students since its launch in 2017. As a nutrition educator, Tasha specializes in helping women ditch the one-size-fits-all diet mindset to develop a personalized approach to low carb dietary patterns and create sustainable, healthy eating habits. Blending her background in biology and nutrition with her warm, light-hearted teaching style, Tasha skillfully presents evidence-based nutrition guidance that you can easily understand and implement right away. Tasha has successfully used ketogenic dieting strategies to reverse PCOS and lose weight. She has shared her experience with thousands of women looking to utilize the keto diet to improve their health and well-being. In Keto: A Woman’s Guide, Tasha has managed to create an evidence-based, context-driven guide for how to do Keto properly–taking into account the particularities and subtleties of the female body. If you are a woman interested in doing a Ketogenic or Low Carb Diet, or even a coach who just wants to learn more, this book should be at the top of your resources. I love this book! Tasha has outdone herself with this easy-to-understand, level-headed and straightforward guide to doing keto as a woman. A much-needed resource, tailored specifically to women’s physiology and healthy endocrine function, it is full of insight into how to use keto to optimize our metabolic rate training, build strength, and enhance body composition. I would highly recommend this book to any women seeking to master keto and learn valuable tools and insights along the way! Keto, A Woman’s Guide, is a must-read for all women wanting to win the weight loss battle with a keto lifestyle! Regular hormonal changes make the female approach to weight loss different than a standard keto plan geared towards men. This guide helps women understand why their male counterparts seem to struggle less when it comes to losing weight. Tasha does an excellent job explaining how things like hunger and metabolic rate can fluctuate during the female hormonal cycle. A keto book for women, by a woman; this is just what the keto community needed. We’ve known for decades that women’s bodies have different metabolic pathways for various drugs and medicines, why would it be any different for the food we eat? Keto: A Woman’s Guide helps identify the benefits and potential pitfalls of the female keto lifestyle and set women up for greater success. 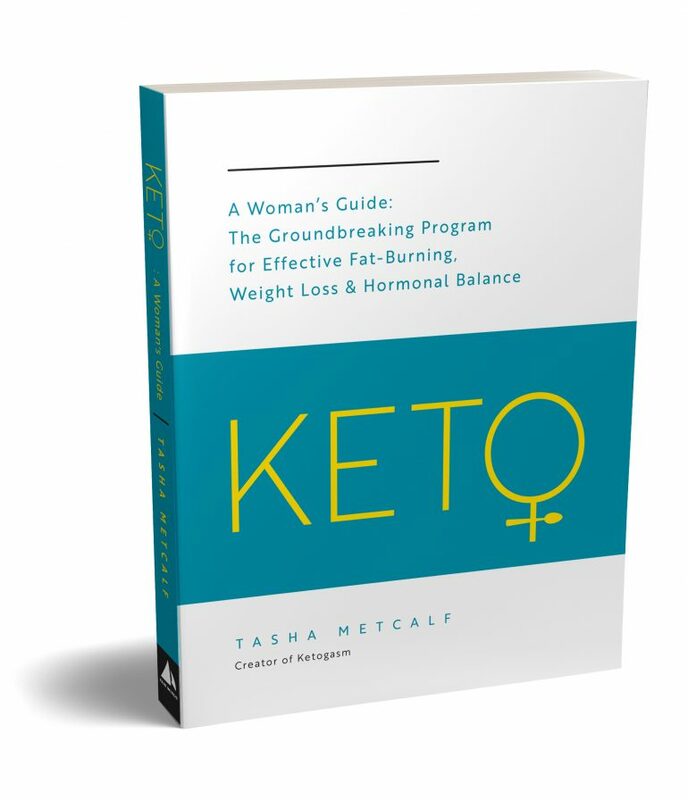 Tasha’s book should be on every keto woman’s bookshelf. Men and women are so different when it comes to losing weight, yet most advice on how to follow a healthy diet is not designed for their respective needs. From understanding how female hormones impact weight loss and ketosis to the smartest food and exercise strategies, Tasha explains everything in such simple terms you’ll be able to start your low-carb journey right away. Tasha has created a science-based resource that is sorely needed by women in the keto space. Her no-nonsense yet non-dogmatic approach is refreshing. She offers invaluable information presented in an organized and easy to comprehend book. I will be recommending this guide to so many women in my community. We’ve been waiting for this resource! Tasha simply knocked it out of the park with her debut book. She is breaking the “one-size-fits-all” mold that we have become programmed to believe is necessary for success on keto. She demonstrates that the path to health, wellness, and weight loss looks different for everyone; especially women. This is an invaluable resource for women who wish to go from merely surviving to abundantly thriving. I can’t recommend this book enough. Tasha provides a voice of reason in a world of keto confusion. She expertly counters myths around the ketogenic diet and set her readers up for long-term success. Whether we realize it or not, keto is different for men and women. With her nutrition expertise and her extensive experience with the keto diet, I can’t think of a better person than Tasha to write this much-needed book. I highly recommend Keto: A Woman’s Guide to any woman serious about understanding her body and following keto the right way. Keto: A Women’s Guide is going to be my new resource for women wanting to adopt the ketogenic diet. As a low-carb athlete, I appreciate that exercise and athletic training is covered in this invaluable guide, as this topic alone can be quite tricky to navigate as you venture from the world of high carb sports nutrition into the wonderful realm of keto. How can I pre-order Keto: A Woman’s Guide? Choose your preferred online retailer based on your location from the list below. The link will lead you directly to the title. Alternatively, you can head directly to your favorite online bookseller and type in “Keto: A Woman’s Guide” or “Tasha Metcalf” in the search and purchase from there. Why should I pre-order–can’t I just wait until the book comes out? Pre-ordering is a beautiful thing! No matter what price is listed when you order, you will only be charged the LOWEST price it drops up until release day. Plain and simple, you are absolutely guaranteed the best deal. Perhaps even better, when you pre-order today, you do not get charged until the book ships out in May! Pre-orders also tremendously help the book be found on Amazon and build visibility for bookstores, which will help other women discover the book. This gives retailers positive feedback to stock the book in stores, further driving the message out there. Your pre-order support is the difference between getting the book into easily accessible stores like Target and Costco, or getting buried in the depths the online search engines.